We had Leo as our 1/2 day Santiago guide and full day Vina del Mar and Valparaiso guide - he was GREAT! We learned alot about all the locations we visited - you can tell he loved what he does. He has photography has a hobby and helps you find great shots! Geat decision to have Leo. I highly recommend Leo! We hired Leo for our guide for a day tour of Santiago in February. It was a great day and we felt we got to know the city with Leo. Lots of great pictures too! We had Leo as our guide this month and he provided us with an exceptional day in his country of Chile! He did a marvelous job and we felt that we had seen and learned a great deal about Chile in only one day. We were able to see some of Santiago and also visit Vina del Mar and Valparaiso and stop at a winery yet it never felt rushed. We appreciated Leo making it a memorable day for us. Thank you, Leo! How do you contact him ? Leo, nossos amigos Laura e Paul Austin marcaram com você dois paseios, nos dias 05 e 06 de novembro. Gostaria de saber se podemos fazer os passeios junto com eles, Seremos 4 brasileiros. Caso positivo, o valor e também se você somente fala em inglês ou podemos contar com um"portunhol" para aqueles que não compreendem o inglês. Meus contatos são: Andréa Martins, manhedaju@hotmail.com. My husband and I recently visited Chile and used the services of Leo Cuzmar. 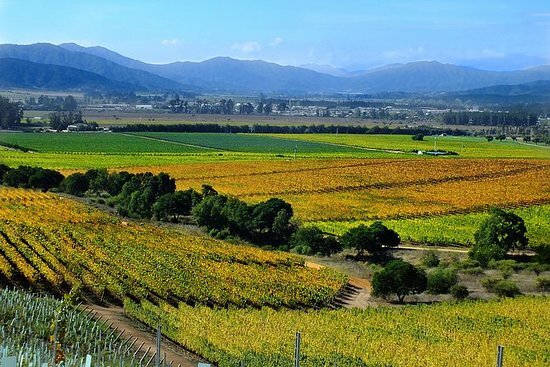 We had an afternoon day tour of Santiago upon arrival, wine tours of Maipo Valley and Colchagua Valley (visiting 3 elite wineries), and a tour or Valparaiso and Vina del Mar (also with a visit to a winery). Every detail was executed perfectly, timely and professionally. Leo is so kind and friendly and goes out of his way to make sure you have a memorable, top notch experience. I can't say enough wonderful things about Leo--class act, A+!! PERFECT in every way! I would like to endorse the comments above as to the quality of the guide Leo Cuzmar. 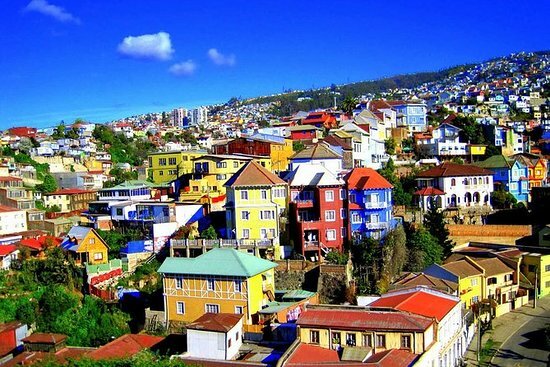 We had a full one day tour with him to Valparaiso and Vina del Mar, plus winery tour, and it was one of the best days in our three week holiday in South America. He is a really personable and friendly guy as well as being an excellent guide with a wide knowledge of the area. We visited Santiago twice on our holiday and on our first stay had a guide arranged by our travel agent in Australia. Because our flights changed we had to stayover again on the way home and I "found" Leo from Trip Advisor reviews. It was a pleasure to spend the day with him and we only wished we had had him for our tour around Santiago. I also had a wonderful experience with Leonardo Cuzmar from Guides Chile (https:/…) in Nov. 2012. Leonardo's love of Chile, vast knowledge of the area and his kind and fun personality make him the best tour guide I have ever had. Leonardo knows and is friendly with everyone in the industry and therefore he can provide a very high end and custom tour - from getting the best table at a restaurant to setting up wine tours - he is the guy who will deliver. Being a woman traveling on my own, I was a bit nervous. 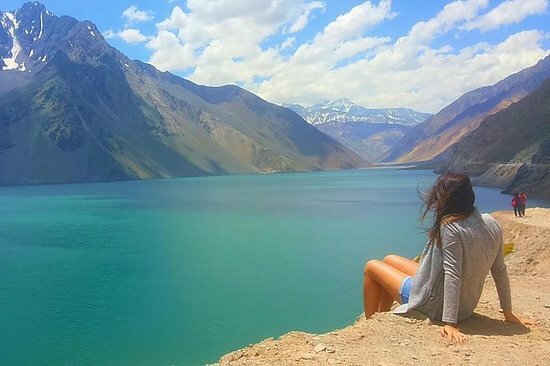 Leonardo put me at ease right way and my day with him (I did Valpraiso, wine tours and a quick trip to the mountains) was the highlight of my trip to Chile. We had Leonard Cuzmar for our tour guide in November, 2012 also--awesome! He took us to Vina Del Mar and Valpraiso the first day and was extremely knowledgeable and shared with us, a lot of the history about the country and the cities we visited. We then decided to change our winery touring plans for the following day on short notice and he recommended and took us to some different wineries that were much closer to Santiago so we didn't have to spend so much time in the car. His choices of wineries were great. One was a large, beautiful place where we had an awesome lunch and the other was a boutique winery were we had a private tasting just for us, on a deck in the trees in the heart of the vineyard. Leonardo was the consummate professional--he speaks excellent English, was on time each day, and provided chilled water for us daily. We learned of his tour services by reading other reviews on Trip Advisor and those reviews were 'spot on.' Leonardo has a staff of tour guides so if he is busy, he can still most likely accommodate you and will put together customized tours if you tell him what you like to do and how much time you have available. Leonard can be reached at: guideschile@gmail.com or LeonardoCuzmar@yahoo.com. We also used Leonardo Cuzmar and his associate, Juan, during our recent trip to Santiago. Both were highly professional and very knowledgeable about Chile and its history. Juan gave us a city tour of Santiago and Leonardo took us to Valpairiso and Vina del Mar, the day before Christmas and we never felt rushed. He took us to an amazing seaside restaurant and helped us find the artisan craft area in Santiago. His English is excellent and he cares a lot Bout his clients' experiences. Highly recommend Leonardo!